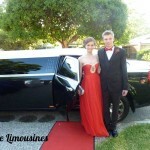 In every respect we are committed to providing the cheap Limousine Hire service which is finest for official and personal Limousine transportation, whether it be Wedding Limousine Hire, Perth School Ball Hire, airport transfer Hire, hummer and vintage limo hire or a special event you will receive our concentrated individual attention in the finest in Limousine Hire chauffeured vehicles. 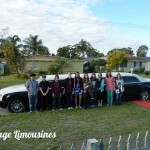 We have 10 seater Limousine service available in Perth with white and black colour. 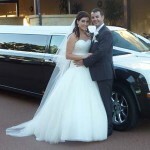 We are dedicated to ensure your Limousine experience is one to remember. 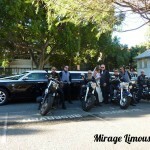 At Mirage Limousines attention to detail is our forte from the moment you pick up the phone to the moment we chauffeur you to the final destination. Our goal is to ensure that you receive prompt, personalized, professional and hassle-free service that meets and exceeds all your expectations. 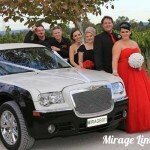 The Chrysler 300c Stretch Limousine has never failed to attract attention whether it be walking the red carpet to your Wedding ceremony or making an entrance to your Gala Ball Diner or celebrating your Birthday/Anniversary or other special occasions. 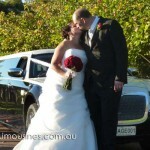 Call us today to discuss your Perth Limousine Hire requirements. 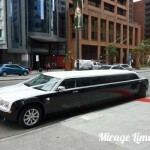 Mirage Limousines delivering a new standard in Perth’s Limousine industry.